This stylish shampoo is different from any commercial shampoos, you will find it wonderful to use, It’s 100% natural with NO surfactants or petrochemicals of any kind. See more info. If you are sick of slowly poisoning yourself and your children, dry scalps, thinning hair or dandruff — throw out your chemical shampoos, stop irritating your scalp and adding to your toxic load — try our natural hair care range. 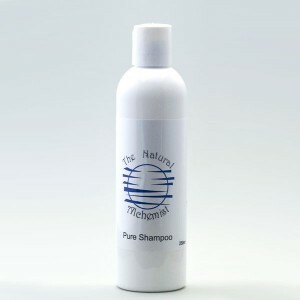 It foams very well, combined with our Pure Rinse and conditioning oil will leaves your hair looking and feeling great. Suitable for all ages, children and adults. Ingredients: Distilled water, castile soap, vegetable glycerine, aloe vera. Essential oils: Lemon tea tree, citrus seed extract, rosemary, peppermint. All ingredients is pure and natural. Castile soap (Unscented Baby Mild): organic coconut, olive, hemp, jojoba oils & glycerine, water, citric acid & vitamin e.
For more detail & a full list of our ingredients go to our Ingredients page.